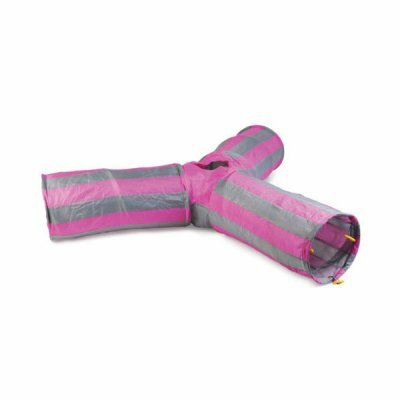 Y-Shaped Cat Tunnel is a durable play tunnel for cat’s that like to stalk and pounce. Made from a tough crinkle material, the tunnel has an irresistible fluffy toy hanging from the central ‘pounce hole’. Copyright © 1999-2019 NingBo Two Birds Industry Co.,Ltd.